As a small state in an unstable neighbourhood, Georgia faces significant external challenges to its ongoing democratisation and Europeanisation projects. The environment in its immediate neighbourhood has become increasingly unfavourable with a rise in illiberalism across the wider Caucasus, reflecting broader global trends. In recent months both the President of Azerbaijan, Ilham Aliyev, and his Russian counterpart, Vladimir Putin, have won their fourth terms of office, whilst in Turkey, President Recep Tayyip Erdogan continues to consolidate his already strong grip on power. Armenia has provided a small ray of democratic hope after Serzh Sargsyan was forced to resign as the newly installed prime minister in Armenia (after two consecutive terms as president), following the #RejectSerzh movement and widespread popular protests. These illiberal trends, combined with the region’s complex geopolitics, threaten to undermine Georgia’s domestic democratic consolidation and thwart its European ambitions. This necessitates a delicate balancing act, reflected in the dynamics at play in its foreign policy: on the one hand, a pragmatic approach is very much in evidence, demonstrated by its growing trilateral cooperation with Azerbaijan and Turkey, and attempts to re-engage Russia. On the other hand, this pragmatism is balanced by a continued emphasis on the country’s Europeanisation, including a commitment to democratic values and the pursuit of closer ties with European organisations such as the EU and NATO. This enduring tension in foreign policy between pragmatism, which emphasises material interests, power and the pursuit of the national interest, and idealism poses a challenge for many states as they attempt to balance their declared ideals with other areas of policy such as economic statecraft and security policies. 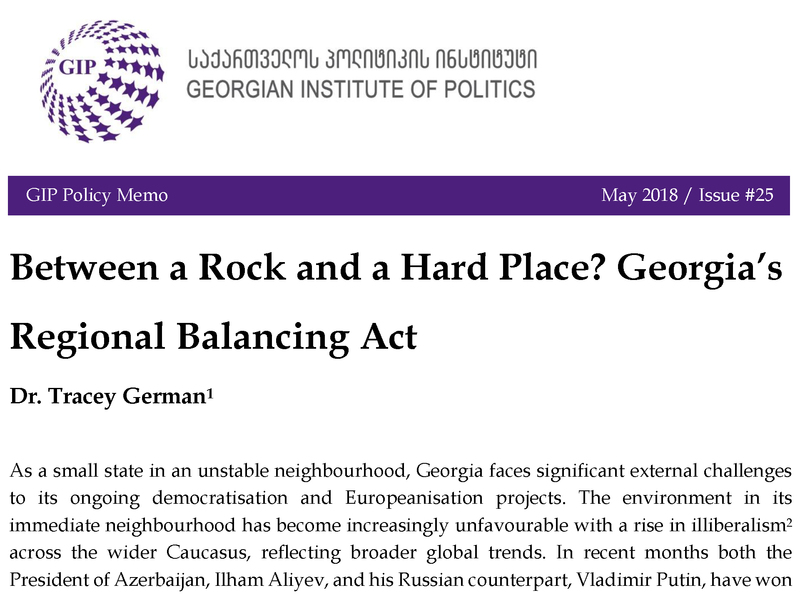 The authoritarian environment in Georgia’s immediate neighbourhood makes the pursuit of such a balance even more challenging. 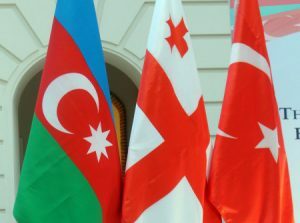 This paper explores the growing trilateral cooperation between Azerbaijan, Georgia and Turkey against the backdrop of Georgian efforts to construct a new regional identity for itself.